It’s been a while since I last shared an opinion specifically relating to the market on CyclingIndustry.News – the last coming mid-February where I discussed the now well documented rise of the mobile mechanic. 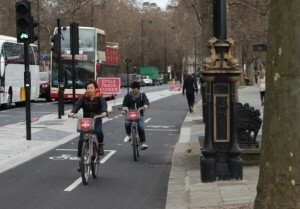 Having written around 350 news posts since our February 3rd launch, the only other time I’ve shared opinion was having stumbled upon a cringe-inducing House of Lords debate on cycling. In my former role and with a monthly magazine deadline to meet, opinion came with some regularity, but often scribbled for exactly that reason, a deadline. The result? When the magazine thumped my desk the prior week’s brainstorm could be a hit or a miss depending largely on a formula of days in a month divided by tendency to spend half of that time doodling skatepark designs on a flatplan. That’s not to say that without a print product to oversee I’ve become lazy. Sort of. There’s been no time for writer’s block with what has been a smile-inducing response to our launch into the B2B bike media landscape. Yet sharing my take on market movement has been put on the backburner. But not for the reasons you may think. Admittedly not for the first time I’ve struggled to make sense of emerging trends in the market. In fact, the last time I’d been this reluctant to speak on industry goings on I was 19 years old and on a plane back from Taiwan having just completed my first international press trip. The main story I generated having toured the likes of Giant and Kenda was how late one evening I walked five miles for a pizza thanks to my fussiness of the local cuisine. Why? Simply I was 19, fresh out of college and surrounded by journos, many of them with thick beards (which I’m told means added wisdom in bike circles, hence the awful headline) who had been documenting trade goings on for a far greater period of time. The month prior I had been shadowing a local court hack and yet here I was speaking to Tony Lo about Anti-Dumping and gawping open mouthed at the mesmerizing spectacle that is the inner tube before it becomes circular. Near ten years later and I’m again struggling to quantify the information I’m taking in from around the globe. Rumours are rampant about what might be on the horizon. 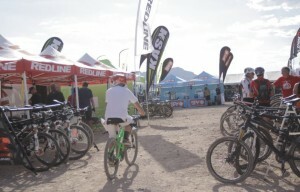 The bike business is changing, that’s a fact that no one who’s been here more than five minutes can deny. Never before have I written more headlines with the word acquisition featured. The same applies to distribution model change, consolidation, liquidation, adaptation and many other “tions” that weren’t even half as prominent just a few years ago. Bike retail is clogged with prior model year stock and sometimes older. Sitting on a pile of rapidly dating stock that is highly unlikely to return the margin you signed up for is not a good place to be, no matter how you spin it. That stock will leak into the market at greatly reduced prices, supressing any incentive to commit cash to 2016 bikes that aren’t offering a strong case to buy. The effect of this: a bottleneck whereby suppliers are sitting on the latest inventory that they’ll similarly struggle to shift. There’s some genuinely great product in the market this year and there’s also marketing gimmicks that the industry may just regret inventing for the sake of keeping it fresh. Both scenarios become irrelevant when you’ve no realistic means of getting consumers to sling a leg over. This bottleneck travels up the chain. There’s a widely held belief that there’s too many brands and even too many shops in the market too. If that is the case, the pie isn’t getting any bigger at present, so unfortunately something will have to give. By all accounts and going by some stats I’ve seen of late, the outlook for the electric market is positive. One in Eight bikes sold in Germany are now pedal assist, while the UK saw a 300+% rise in imports of pedal assist vehicles in the past year (though we suspect there may be more to that story given a startlingly low average unit price). In Holland, things are even better. What is evident from the past few years in particular is that we’ve only scratched the surface of this market’s potential. Bikes hide the eyesores better, we’ve largely settled on the regulations and engineers are on the cusp of achieving some truly stunning innovations when it comes to boosting range, lowering weight and even bringing the price down. The greatest challenge of course is getting people to try an electric bike, something as good as proven to drive uptake. Well that too is becoming a lot less of a problem. Unrelated to cycling, but when a company like Britain’s Dyson invests £1 billion in the advancement of battery technology you can be sure that won’t go unnoticed. 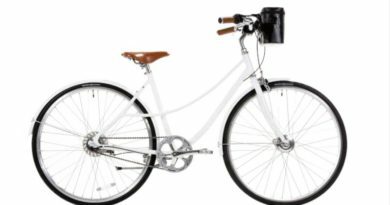 It’s surely just a matter of time before the main barriers to electric bike adoption – price and range per charge – are met head on with new tech breakthroughs. One thing I’ve never fully grasped was something I experienced even as a kid. I used to read Andrew Dodd religiously in MBUK, in fact I still do right here. He’d be talking about a product that I’d immediately either want, or laugh to my friends about, based on the number of stars next to the column inches. But it’s not always immediately available. 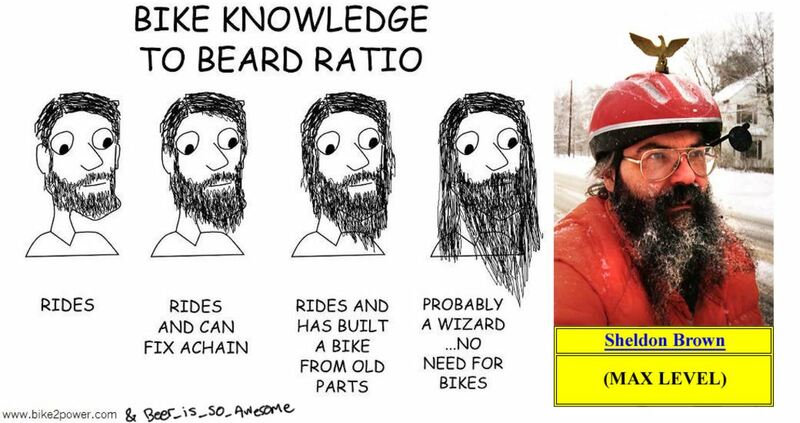 There you are, checking your piggy bank, or balance, (depending on the length of your beard) and you realise the product’s not due for months. You switch off, the money burns a hole and before you know it you’ve got a Nintendo 64 and a slight weight problem. Honestly, this is another reason i’ve thus far only invested in one Kickstarter project. Despite great product, the wait is a killer and it’s nice to be able to hold something before you purchase. In this process it’s no wonder little money is made for anyone and stock forecasts are more nightmarish than ever. Worse still, this isn’t a confidence inspiring experience for the consumer. Earlier this year I accidentally breached an embargo. Journos, please cast the first stone if you’ve not done the same (ducks for cover), only to hit unpublish while the kettle boils. My beef here? It makes our profession redundant. It’s our job to sniff out the things that matter to consumers (or bike shops) and with any luck gather exclusive content. Earlier this year I felt great sympathy for VeloNews in what turned out to be quite a storm. Those who publish unique, well researched content deserve the credit and I’d go as far to say, even greater attention of those commanding marketing spend. A personal story on the restriction of journalists; On the morning of a largely unforeseen distribution coming together I was on the phones before 9am following up on a tip. I rang a number of sources and was asked to stay silent for the time being by two understandably uneasy marketing staffers. On seeing a telling sign that the news might be about to break cover, I semi-reluctantly hit publish before the official PR came, breaking the story a whole hour before the official line hit other inboxes. It never did land in mine. Understandable in the mayhem of such an announcement. Frustrating, nonetheless. And many are. In fact, it’s safe to say those that don’t, as was the case when the internet came to fruition, will fall behind. 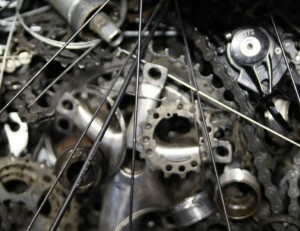 Take Radial Cycles, just a small example of adapting to consumer buying habits. 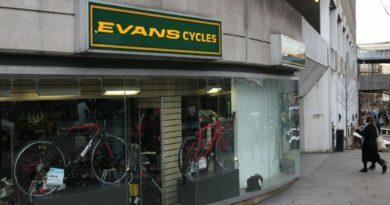 This brand has signed a three to five year deal with a local cycling centre to become a permanent demo-centre of sorts for its bikes. Direct to consumer sales method nailed in one. Captive audience, marketing and PR, R&D centre, sales and much more all in one location. For the bike shop speculating that direct to consumer will eventually squeeze them out of the picture, act on it. Outline your stance and costing for building bike in a box now and stick with it. If it hits a sore spot when a customer asks you to service online bought bikes or components, my only suggestion is to bury it. Until a solar flare large enough to delete the internet strikes this will never stop and I’ve read numerous stories of retailers retaining that customer for future sales having given honest advice and service in the first instance. The trend of stores taking on the role of manufacturer, alongside the increasing number of handmade bike builders is of course another method to counter. Be warned; with this comes liability responsibility and that cannot be ignored. 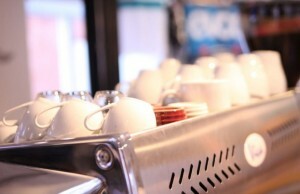 There’s always coffee to fall back on and many are now making something of their supplementary income here. We’ve written at length about mobile mechanics and they came up again when speaking to the newly formed Professional Bicycle Mechanics Association. Much has been made of whether these units are as profitable as franchise bosses make out, but it’s generally accepted that the share of the workshop is rising against often declining sales. With lower overheads, this is certainly a viable option for the mechanic looking to make their own way in the industry. We’ve heard stories of bike shops closing to hit the road, the exact opposite and even shops beginning to do both to ensure no local trade is lost. With that in mind, should the bike shop now be defending their territory like never before? With Trek’s B2C announcement came “a flood of franchise requests”, said Velofix’s Chris Guilemot. To me that says the bike shop needs to defend their workshop business like never before. Whether the resource is there to send a mechanic in a cargo bike out for servicing will be down to individual cases. But adaptation is necessary in the face of a threat to one defining area where margin remains. Mobile franchises are in the process of signing deals with B2C brands to perform “last mile” servicing. Could bike shops be doing the same? On a brighter note, with the formation of the PBMA in the US, new president James Stanfill says that a key goal is to teach the newbie the skills they will require both inside and outside of the workshop to progress in the trade. That’s the future of the business and the future is brighter with trained, certified professionals in charge. Not to mention a centrally recognised certificate is long overdue in the US. Who saw the Zyro and Fisher announcement coming? Chain Reaction and Wiggle? Not as many as perhaps should have, apparently. In my perhaps age-limited experience, events like these don’t happen often, but when they do, they happen relatively close together, almost like a ripple effect. 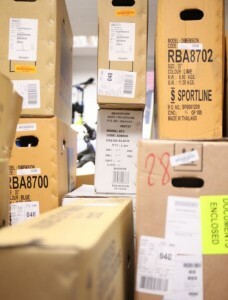 Vista-BRG, Enve-Mavic, Fox-Marzocchi, Hero-BSH are just some that spring to mind since our February launch. On the face of it the short term affects appear largely negative with immediate uncertainty in employment. Then there’s further loss of outside business as one merges into the other. Think about how many dealers are affected when one distributor absorbs another and how many territories have to be adjusted. That’s just one example of a knock on effect. With consolidation of marketing departments, can there continue to be as many magazines and websites? The irony isn’t lost on me here, but all the same, there’s no slowdown in the number of publications launching. There are countless others ripple effects that a keyboard warrior such as I will have overlooked. Things will inevitably settle. Those with a USP and the right people will endure. The winners, once the industry regroups, will undoubtedly be stronger for it. Those with minimal debt, strong cash flow and a resistance to practices like discounting that seems largely to have created half the mess in the first place. By eliminating Chain Reaction as a competitor, Wiggle have the choice; carry on with the same low net return, but large volume shifting that the Northern Irish business has earned such a following with, or start to reign that practice in and raise margins. That in turn, if it comes to fruition, will in theory help not only Wiggle, but the rest of the market. The bicycle dealers sales were reportedly down 25% and falling in the US and Europe too has been suffering on the shop floor. Once the market settles there might actually be a shot at making some money again, not to mention easing the incorrect perception of the consumer that the bricks and mortar retailer is ripping them off. The reality is, the end-user has never had it so good when it comes to value for money. Earlier this year we ran a column from Drew at World Famous City Cycle. With over 7,000 Facebook likes it’s safe to say it made an impression in the industry. It was critical of our trade’s most ubiquitous manufacturer, one that has a reported 70% of the market share in componentry and around 50% of the drivetrain market sewn up. Those numbers are significant on many levels. Whether the manufacturing giant will maintain its dominance is up for discussion. Brian Buell of the aforementioned Bonzai Cyclewerx – a 3,400 square foot store employing four – is one example of a dealer who gave feedback following the publication of the column. His strategy; don’t lose sleep over it, move on. “We use Sunrace components now and haven’t looked back. 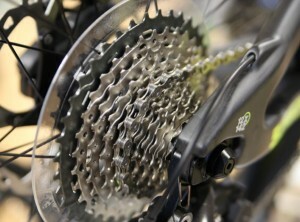 We make more money, it’s more adaptable and universal on what comes with the derailleurs especially. Bottom line, there is no reason to support a product/brand who no longer supports us. I can’t say much for a large shop who still sells Shimano, but it’s possible to survive and thrive without them,” he told us. It must be stressed of course that this isn’t an isolated problem, discounting affects brands far smaller. “The Chain Reaction Cycles purchase price was cheaper then buying a Blackspire 30 tooth cinch narrow/wide chain ring from Blackspires in Canada. And CRC’s shipping was less as well if, I remember correctly. So my client purchased from CRC,” said McGuire. 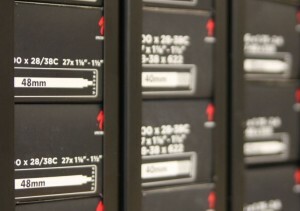 $5,000 in incremental revenue is exactly the kind of revenue the bike shop needs to retain. I’ve lost count now how many headlines have related to sexism in my time writing about the bike business. It is of course a minority, but that minority paints a picture of a juvenile and uninviting business. Earlier this week I spoke with a friend of mine in the industry whose girlfriend works on the shop floor of a bike shop. He recounted the number of times she has complained of a customer asking if a man’s about. “I can help,” she will say. “No it’s ok, I’ll wait,” says macho male. On any level that’s not acceptable and that customer should go straight to the back of the queue. Don’t be that guy, whichever side of the counter you’re on. Why does it bother me personally aside from the obvious stuck in the past-ness of it all? My other half has cycled since 2014. Having spent £300 on her bike at the time, she now has eyes for a mountain bike costing four fold. My mother bought a bike with every intention of using it, though sadly deems it unsafe to do so. Our goal is to increase cycling’s modal share and as shown in our interview with Liv’s Bonnie Tu, the business growth in women’s cycling is astonishing when courtesy and consideration is applied. The common good is important and it’s incredibly long overdue that rivals put aside their squabbles and pull together for cycling advocacy. The result is real change and piece-by-piece it’s happening globally. Pressure on politicians to listen to the vast numbers now behind active travel is now enormous, still growing and now even coming from the inside. Why didn’t we do this in greater numbers and sooner? The ripple effect applies here too. Politicians are annoyingly powerful people and can influence everything from press to planners. If you’re not already, lobby, Tweet, join movements like the Pedal on Parliament and swell the numbers on the streets until change on your street cannot be ignored. Most importantly, speak the language of the politician – show them the economic argument for active travel and even active logistics against the contrasting picture of private vehicle dependency. 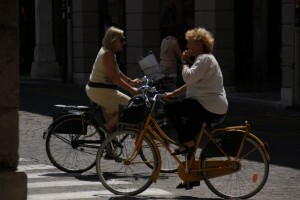 And whatever you do, emphasise cycling for transport – cycling needs to lose the “only for the sporty” image often cast. Investment in cycling for transport is key, as is recreational advocacy. Sport participation follows. 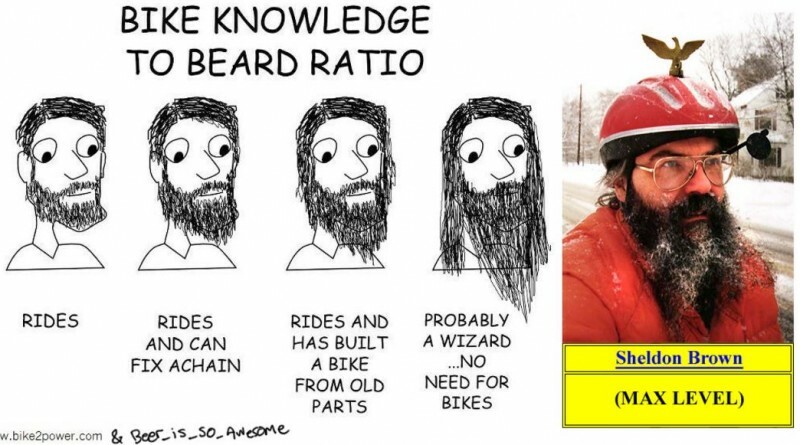 There’s plenty, but for me to start on what I don’t know would mean we’ll be here until everyone has a Sheldon Brown length beard. (New to the industry? Brown is your guide.) Maybe a part two article will follow. So, you tell me. I’m always ready to hear more on what’s affecting the business, no matter what level of the chain. Perhaps you have another take on the topics discussed here. Either way, I’m available on mark@cyclingindustry.news, on Facebook here and you can subscribe to our updates here.